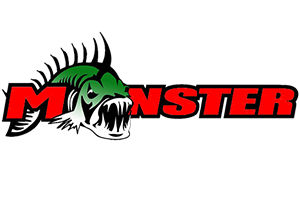 I have been very fortunate to become associated with Pure Fishing, which houses companies such as Abu Garcia, Berkley Fishing, Penn and many other of the top fishing companies in the industry. Today I am excited to talk about the new Abu Garcia Veritas Rods. I had heard many very good things about these rods, like being very sensitive, light, having increased compression strengh and who can complain about the price tag. 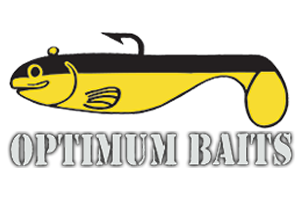 I had recently found myself considering a change in my rod brand and after hearing about all the excitement of the Abu Garcia brand, I had to take a look for myself. I got to start off by saying, I jumped full into the idea of fishing with these new rods so much that I sold all of my prior rods (a very popular brand) and bought all new Veritas rods…What a GREAT decision that was! These rods truly hold up to all of the hype of being light and SUPER sensitive. I started off fishing with a VRC70-7 casting rod paired with a Revo STX and 20 lbd Berkley 100% Trilene line. This rod and reel combination was fantastic together, as you would figure it to be. The rod is rated as heavy with a X-fast tip and has a line rating of 12-25 lbs. I pitched around the same exact set up as I had on my previous rod and let me tell you, I could feel so much more with this rod then previous rods. The exposed blank under the reel seat was awesome, but I could really feel my weight dragging across everything I came into contact with which was something that I was not use to unless keeping continuous contact with my line. The balance of the rod was great and did I mention it was light and sensitive…The rod is amazing overall and with a price tag of under $100, I feel it’s the best value you will find. I then jumped over to the VRS70-6 spinning rod that is rated at medium heavy with a fast tip and carries a line rating of 8-14 lbs. Like the rest of the line of Veritas rods, this one is light, sensitive, strong and handled 4lb Clear Lake bass with ease. I figured that this rod would handle well fishing Clear Lake and the CA Delta for times that you need to utilize a spinning rod…I was right! All of my previous rods I have ever fished had cork handles so I was not sure how i was going to like the ﻿High Density EVA handle on the Veritas line, but it was very comfortable and I really liked it. From the reel seat screw lock down to the Titanium alloy guides with SiC inserts, the exposed reel seats and heavy duty hook keeper and it’s location on the rod were all fantastic. I am really excited to hit the water again to test out the rest of the Veritas rods line…for more information on the Veritas Rods or any of the Pure Fishing companies, please look at the banner link on this site.